In a 20-year career in journalism, Liz has veered from the sublime to the ridiculous. From a start on the finance and real estate pages of The Australian, to a stint at the Sydney Coroner’s Court, from test-driving luxury cars and covering motorsport to stories about paving tricks and tips and ways of boosting pie sales in convenience stores – and everything in between! Her travel-related stories have appeared in Get Up & Go, Senior Traveller, foodandtravel.com.au, travel-associates.com.au, Signpost North (NZ), South Coast Style, New Woman, Family Circle, Out & About With Kids, and TravelAway magazine. Other work has appeared in Better Homes and Gardens, Good Taste, Diabetic Living, The Sydney Morning Herald, Your Fantastic Backyard, She, VIVE and Motor Racing Australia. 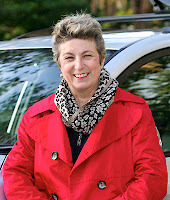 Liz has also served as chief sub editor and features editor for New Woman magazine, a sub and proof-reader for Better Homes and Gardens, and a writer and sub editor for The Australian and the Daily Mirror. She has also ‘done time’ in radio and TV as a reporter, editor and producer. Over a particularly varied career, she’s definitely been a jack-of-all trades, writing feature stories and lifestyle articles, hard news and profile pieces, as well as writing and editing for a number of contract (B2B) publications across a range of fields, created content for a variety of websites and written press releases about everything from earthmoving equipment to awarded restaurants. She’s worked as a PR consultant for a tourism organisation, a luxury car company and two professional rally drivers, and as part of the media team for one of Australia’s major international events.